Do Chelsea fear losing Eden Hazard to Manchester United? Chelsea are reportedly lining up two January transfer window moves for attacking players Thomas Lemar and Ross Barkley amid emerging Eden Hazard to Manchester United transfer rumours. The Sun have linked Jose Mourinho’s side with this audacious £90million raid on the Blues, and it may be that Antonio Conte has already begun searching for potential replacements. 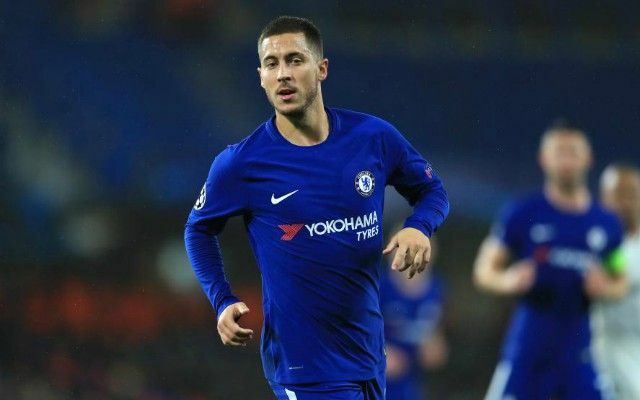 While it seems unlikely that Chelsea would sell Hazard to Manchester United or any other Premier League rival, the Belgian forward has also been linked with Real Madrid by Diario Gol. One of the best players in the world, Hazard is always likely to attract interest from elsewhere, so it would be little surprise if Chelsea were to plan for his departure just in case. According to the London Evening Standard, the Premier League champions are now looking at two attacking midfielders as priorities for January, with Lemar and Barkley the most likely targets. The report claims Leon Bailey has also been looked at, though he is not for sale for the moment. The Daily Mail have also linked Lemar with Arsenal in recent times, so it may not be that straightforward for Chelsea to bring in the Monaco winger.